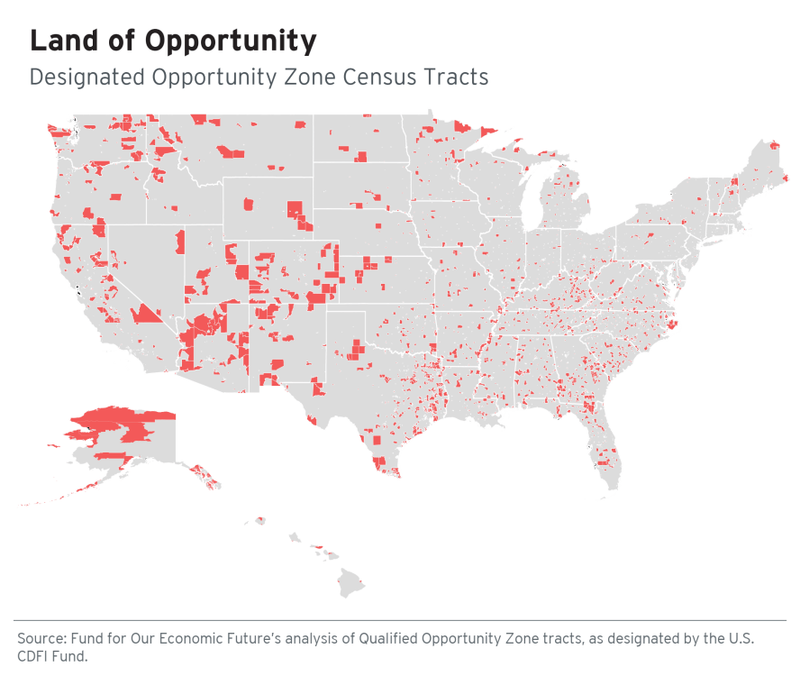 Summary: tapping into local community planning and entrepreneurship can make a Qualified Opportunity Zone (QOZ) project more effective. We cannot take from Peter to pay Paul by creating an economic boom in one area of a city — which simply saps economic resources from another area of that same town. I strongly believe that Investment in Entrepreneurism is a solution. Entrepreneurs bring new businesses to an area, rather than sapping from current contributors to the local economy. Additionally, local entrepreneurs are a key component of future job growth. It is estimated that small businesses account for 65 percent of all new jobs created. One additional byproduct of local impact is how it shapes the perception of consumers, who are increasingly conscious of company policy. Today's information-powered public reacts negatively to businesses which do harm to the local job market. Therefore, any projects wanting widespread support must ensure that their move to a QOZ is not viewed as a tax-incentivized draw — which causes an economic bust in another part of town. Entrepreneurism is a key element of QOZ planning and will play a vital role in shaping how the public perceives QOZ’s effects on local economies. Jessica Contreras, Co-Manager of WIF AX, LLC., Women’s Innovation Fund Accelerator. WIF AX brings blockchain to the block using opportunity zones. Our strategy is about jobs, we believe that Blockchain Tech will create jobs now and the in future. We also believe that those jobs make Blockchain real, changing its often-confused public perception. To accomplish this, WIF AX uses business accelerators located in QOZ’s to launch and fund blockchain tech-related ventures, then we structure future investments in those businesses using a blockchain related offerings, referred to as an SBO (Securitized Blockchain Offering) or AAO (Alternative Asset Offering). Jessica Contreras is the Co-Founder/Manager of WIF AX, LLC., who describes her ethnicity as being: “Mexican-American, in that order!” Ms. Contreras is a community advocate and serial entrepreneur.